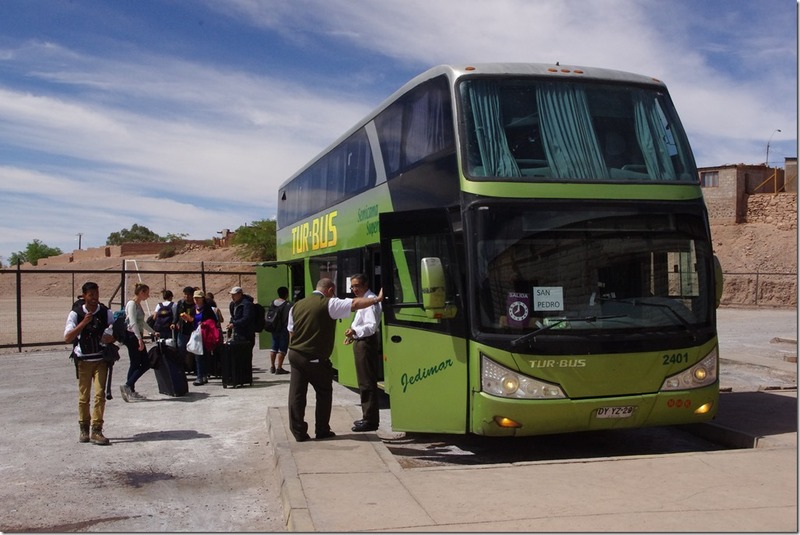 The journey to San Pedro de Atacama from Calama is a relatively short one: about 1h45m according to the timetable. Unfortunately, whilst the bus arrived in Calama only a couple minutes late, we had to refill at the Tur-Bus maintenance depot in Calama which added a further delay, and then someone who had been on the bus overnight (it’s a sleeper service, I’m not sure where from) needed to go to the loo, which caused a further substantial delay. 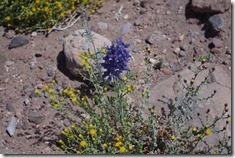 In the end, we didn’t get out of Calama until about an hour after we had been due to be on the road. This was fine by me, however, as I’d made a mistake while booking – my hotel accommodation wouldn’t be available until 14:00 and, with a scheduled arrival at 9:45, I was going to have a long wait with my suitcase. As it was, that became only a three-hour wait in the shade of the main square in San Pedro. 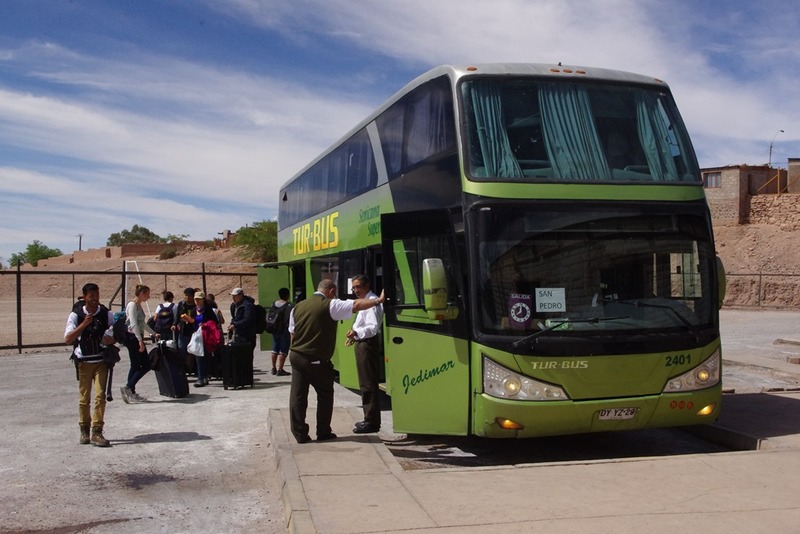 Hopefully I won’t have a similar experience on the return journey as, by conscious decision given the reputation for crime at Calama bus station, I have a fairly tight change there. What to say of San Pedro? Arriving in San Pedro by road is impressive. After miles of just flat desert (and it’s generally a rocky desert that reminded me of parts of central Iceland, rather than the stereotypical sand of the Sahara) with mountains in the background, you come down a hill into this green oasis, full of trees and shrubs. It’s quite spectacular. As for the town, I knew it would be touristy, as it’s the centre for organised excursions into the Atacama. 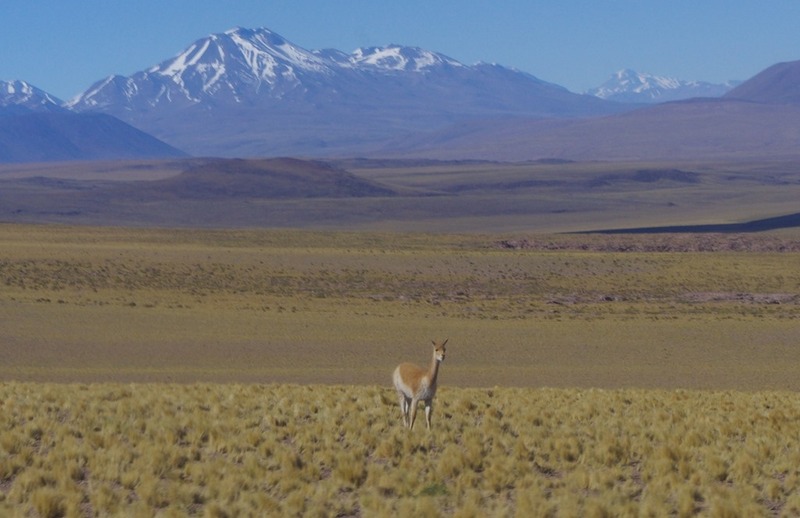 But I seem to have landed in the Disney version of an Atacama village. Everything is highly commercialised – even the street signs are sponsored by the Movistar phone network – and I’m pretty certain that the majority of buildings here are more recent than they appear. Just about every European language can be heard here, as I was disappointed to find in my first few hours with an Irish couple having a very loud lover’s tiff in the main square. The streets are fully of souvenir shops, cafes, bicycle hire shops and tour agencies. The number of times I’ve been accosted being asked whether I want to go on an excursion exceeds the number of punt tour touts in central Cambridge, and that’s not a good thing. Similarly, just out of the town centre near the bus stop, there’s a small district reserved for ‘Artisan workshops’ selling the expected ponchos and other crafts. 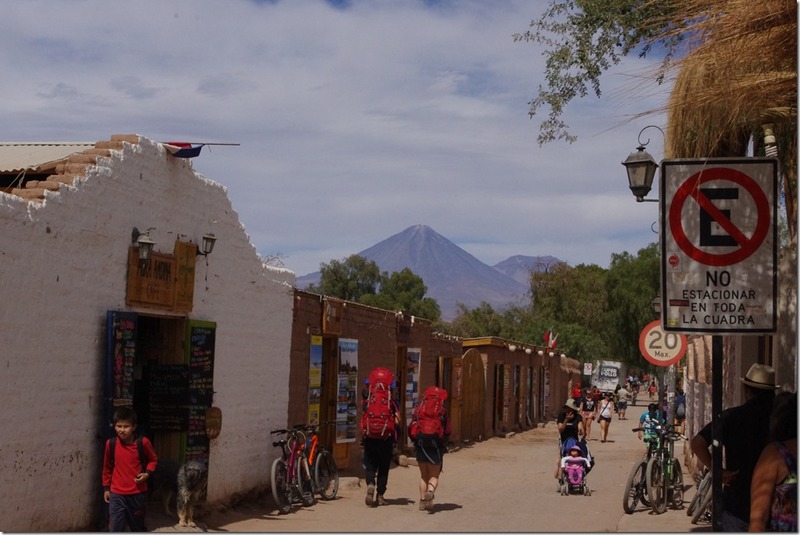 Prices here have been notably ramped up for the tourist trade compared to what I was paying in Iquique and Calama. Again, this isn’t something I was ignorant of – my fairly basic bedroom with shared bathroom and a free bottle of water per day(!) 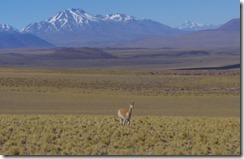 is costing about £45 per night, the same as the rather nicer Holiday Inn Express in Iquique – but it is a pity. 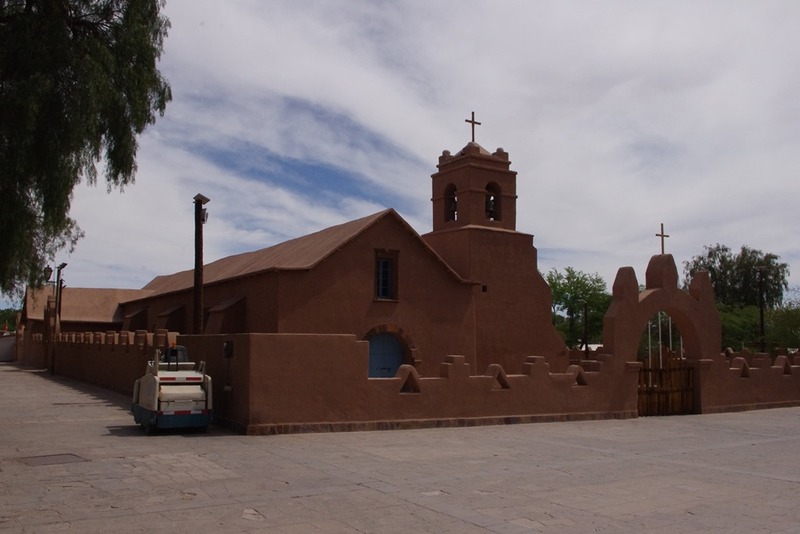 That said, there is a small genuine historical aspect to San Pedro: the church in the centre of the town dates from the earliest colonial days in the late sixteenth century. Unfortunately it was locked whenever I tried to go in. Also locked was the main archaeological museum, which is closed for renovation (as of November 2015). The Meteorite Museum is certainly worth a visit however, and it explained the phenomenon in quite some scientific detail. One nice coincidence while I was here: Andy G4HUE, a fellow member of the Camb-Hams, turned out to be in San Pedro at the same time as me, so we had a nice couple of beers on my first evening here. It looks as though our entirely independently created itineraries will coincide again on Chiloe island in a couple of weeks time, too! 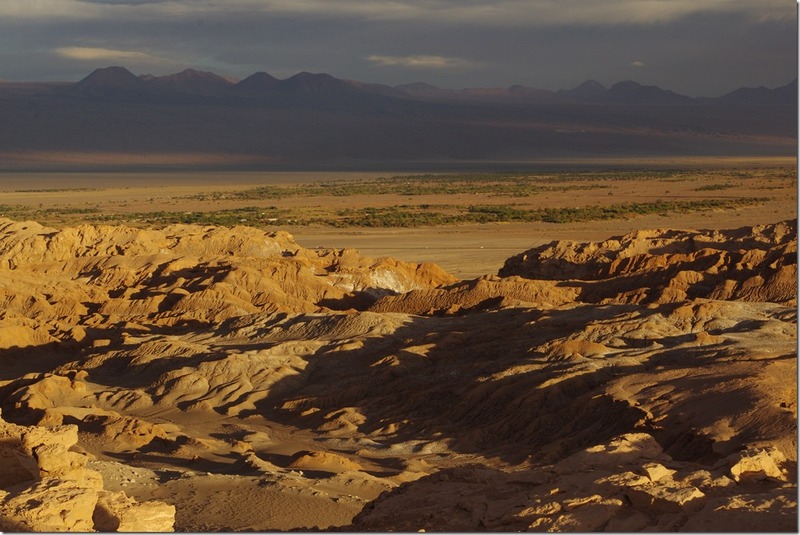 As mentioned, the reason San Pedro de Atacama is so well frequented by tourists is because it has become the base for excursions further into the desert, and that was my principal reason for being here too. 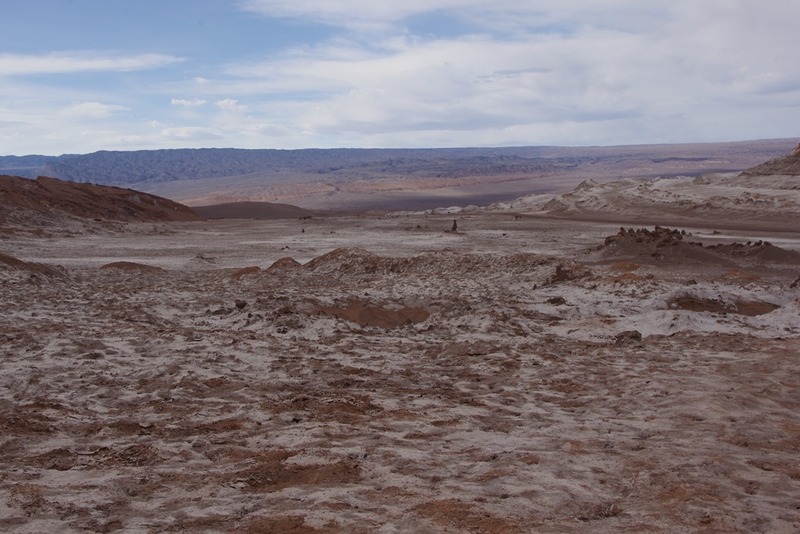 The Valle de la Luna, or Moon Valley, is located just outside San Pedro and is so named because of how the ground resembles the lunar surface. We were there are a particularly unusual time: in April there had been abnormally heavy rainfall over a three-day period. 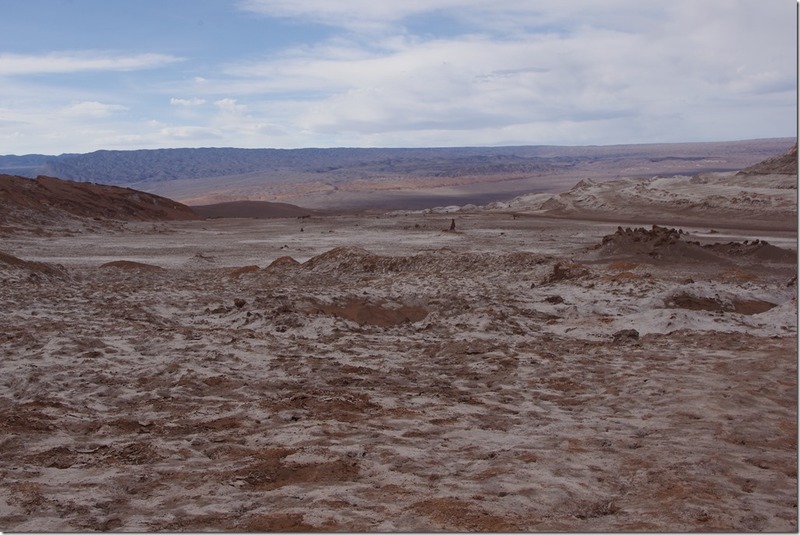 The rainwater quickly evaporated leaving a white deposit of the impurities in the rainwater on the Valley’s surface. It doesn’t unusually look like this! At the end of the afternoon-long tour, which was by tour bus from San Pedro, we went to a high point overlooking the town for some spectacular views of the Valley and the wider Atacama desert at sunset. This alone made the effort of coming to San Pedro worthwhile. If the sunset views hadn’t been sufficient to repay the commercialism of San Pedro, my other excursion to the Laguna Miñiques certainly did. Located about 120km South-East of San Pedro, and at about 12000ft ASL, the journey there took a couple hours but it was well worth it. 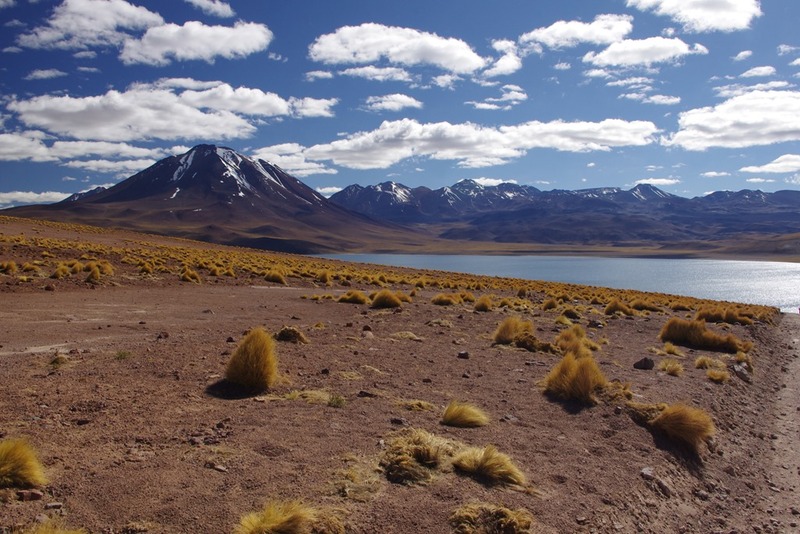 The views of the lake and the mountains along the Bolivian border in the background were spectacular. Don’t let the azure sky in the photo below deceive you, though, there was a bitterly cold wind blowing at this altitude! On our return from the lake, we stopped first at Socaire Church, parts of which are the original building from the 1620s. 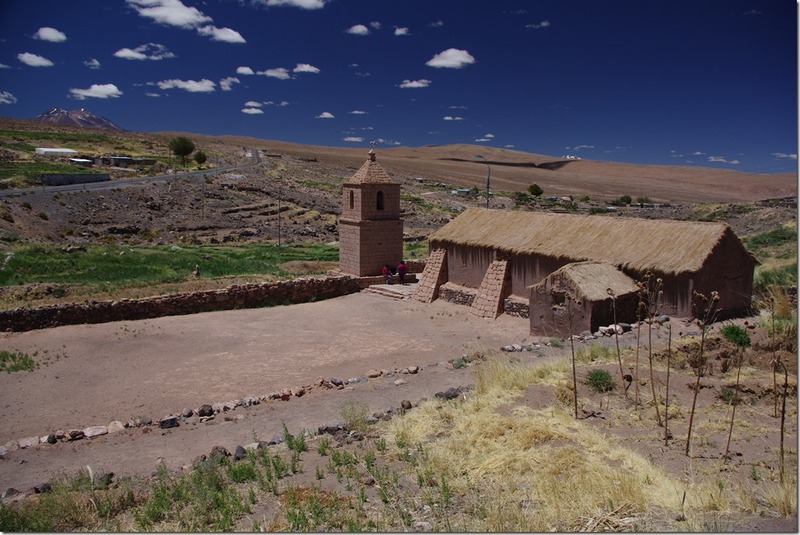 In the background, you can still see the terraces used in pre-Inca times for cultivation (at which time this area was more fertile than it is today). 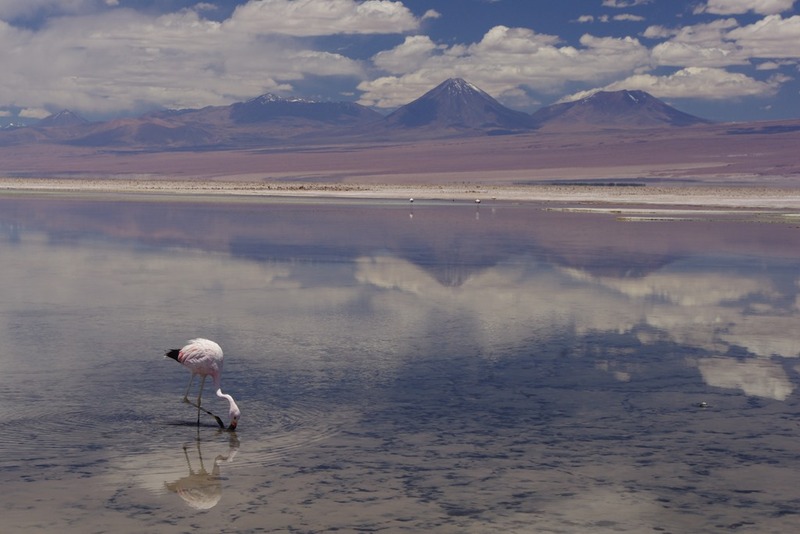 Finally, we spent nearly an hour at the salt flats between Socaire and San Pedro. 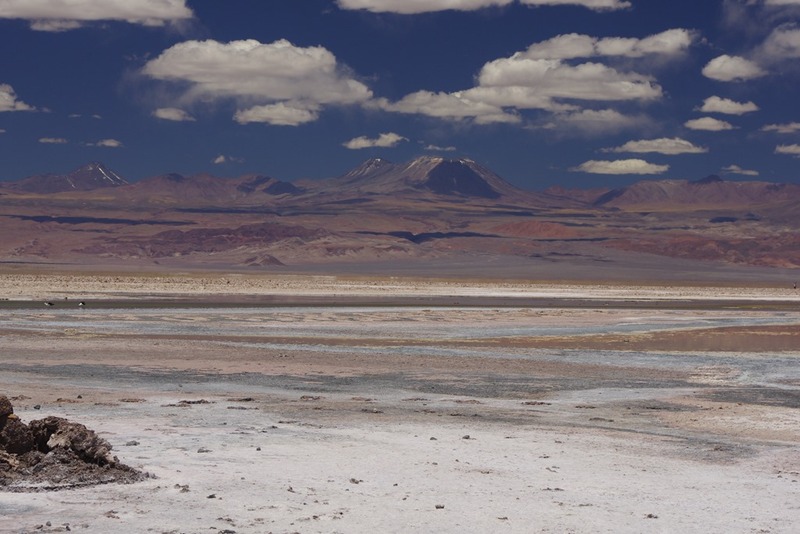 Unlike the lakes, the salt flats are at a much lower altitude, and the temperature was well into the 30s Celsius when we were there. Not only that but the brilliance of the light with so much white surface to reflect off was quite overwhelming. The salt flats are best known for the Andean Flamingos (with that species’ trademark black tail) that feed in them. 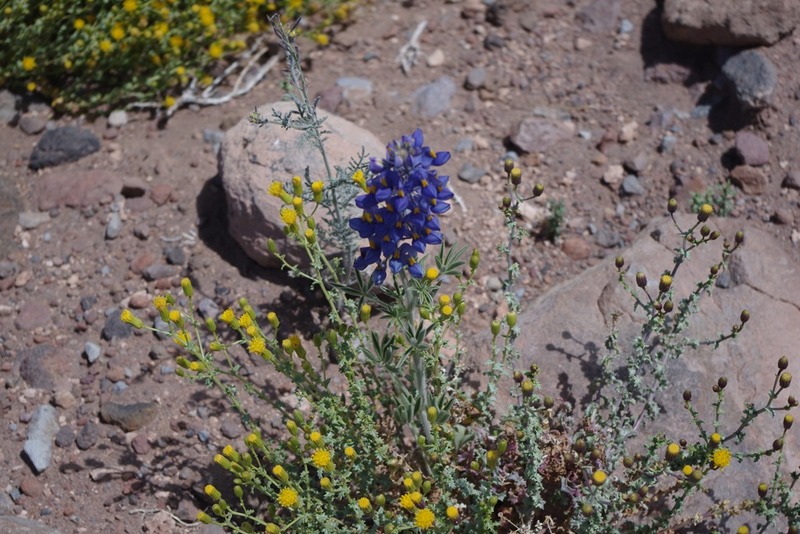 The variety of flora and fauna we saw today overall, however, is what really made the trip special. The Laguna was the Southern-most point I’ll reach on this leg of the trip. 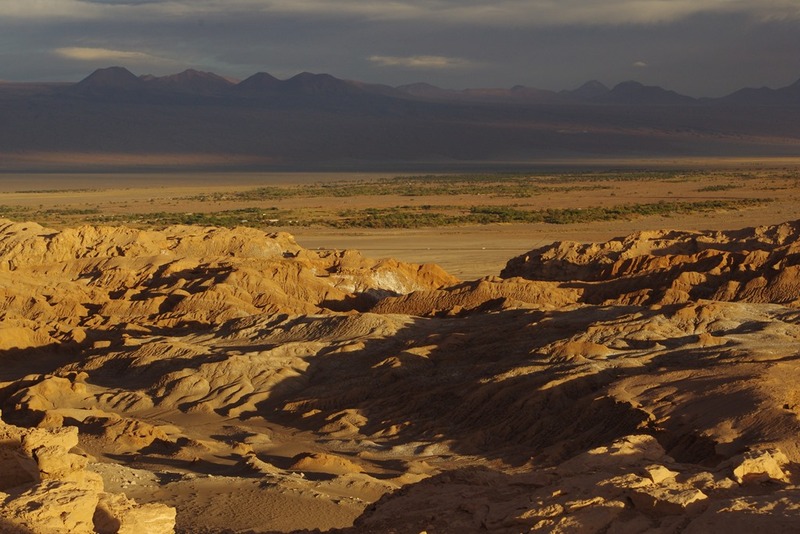 Tomorrow, I’ll be heading back to Iquique and, over the following two days, I’ll be flying South to Temuco, where I’ll be picking up the trail again. 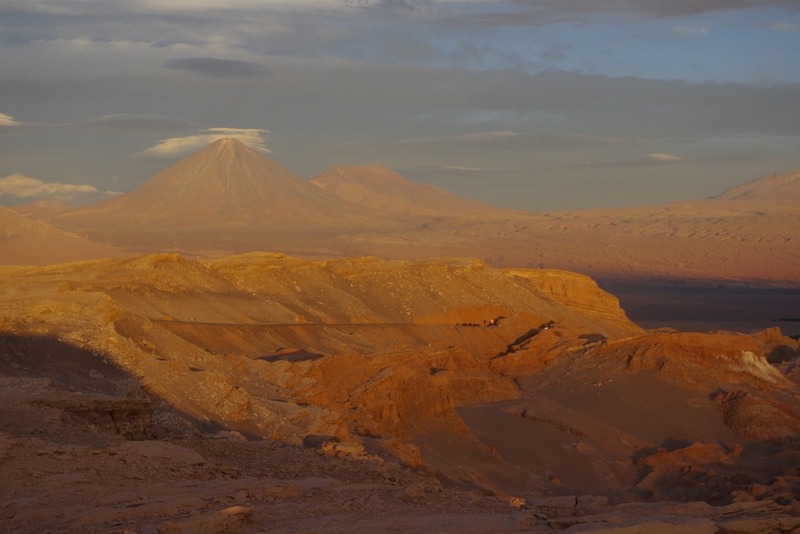 It’s been a great time in the Atacama. In the meantime, more of my photos are on Flickr. November 15, 2015 in chile.